The recently-announced ASUS ROG GX700 is a laptop with eyes on delivering awesome gaming performance without generating excessive heat. It is described as the world’s first water-cooled gaming laptop and will feature a stunning 4K display, latest Intel Skylake processor and robust NVIDIA graphics. ASUS has a reputation for making heavy-duty, awe-inspiring gaming machine and it appears ready to continue building on that with this upcoming Republic of Gamers (ROG) laptop. The ASUS ROG GX700 was only teased at IFA 2015, as its maker prefers to keep its cards to its chest for now with regard to specifications. The main highlight of the laptop is a never-before-seen water cooling system that will enable users enjoy solid gaming performance without the machine becoming insanely hot. The cooling system is a separate unit that you will need to attach or dock to the laptop whenever you feel like over-clocking the CPU and discrete graphics processor. From the look of the liquid cooler, ASUS ROG GX700 does not appear much like a machine you can easily carry around. 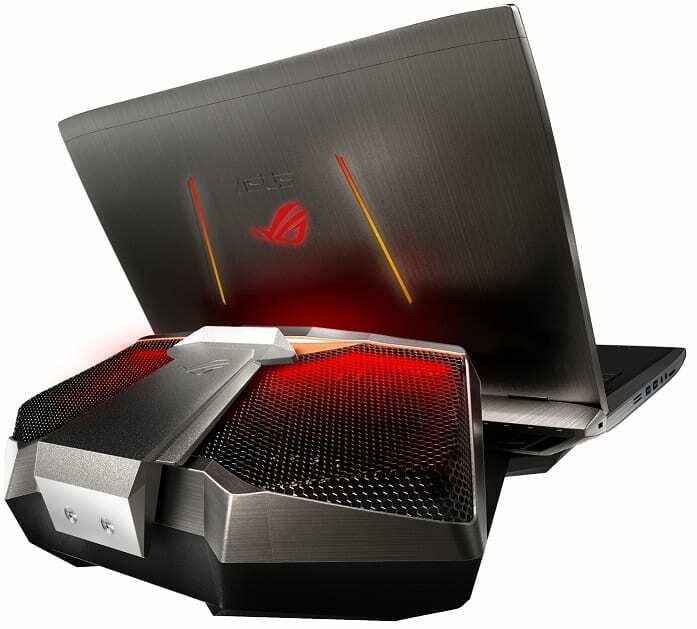 But its maker promises potential buyers that they stand to enjoy 80 percent better performance than is possible on a regular ASUS ROG GX700 laptop with similar specs but without an external cooling unit. As previously stated, ASUS has chosen not to disclose full specs of its ROG GX700 for now. It is said that the laptop will cram in a humongous 17.3-inch IPS display with an amazing 4K resolution of 3840 x 2160 pixels for awesome image quality. ASUS ROG GX700 will reportedly be equipped with the latest Intel K-series processor from the Skylake family to give you impressive over-clocking capability. Graphics will be crunched by latest NVIDIA graphics card, which an employee of the company supposedly said would be the forthcoming GeForce GTX 990M. 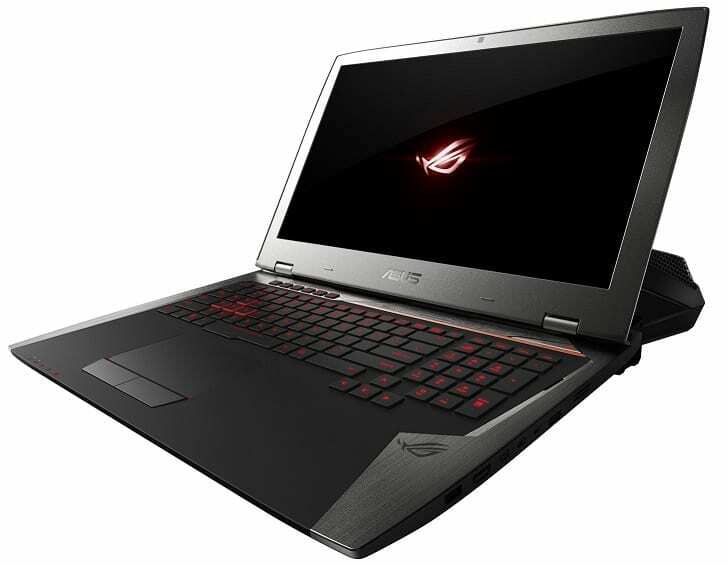 The hefty ASUS ROG GX700 will most likely run on the latest Windows 10 operating system as well as come with Thunderbolt 3 and USB Type-C ports. ASUS ROG GX700 gaming notebook is not available in Nigeria and there is no word on pricing yet. You can now buy the high performance gaming laptop at leading online stores in Nigeria. ASUS ROG GX700 price in Nigeria should be above 300,000 Naira based on our estimate.